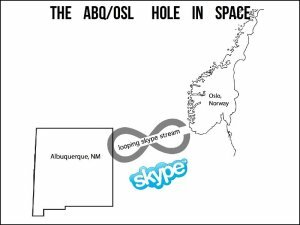 The International Collaborative Art Program or ICAP has developed out of my participation in the University of New Mexico College of Fine Arts’ Arts Learning Laboratory or ALL. The purpose of ALL is to produce “a new model for arts education that breaks down traditional academic structures and invites the outside world into the College of Fine Arts to engage in a powerful collaborative learning model and a far-reaching redefinition of arts pedagogy.” For the most recent ICAP class, a mixed group of graduate and undergraduate students worked with a visiting artist from Poland to develop work for two shows: one presented at the Tan gallery in Albuquerque, and the other presented later in San Diego at the University of California’s Qualcomm Institute. Students traveled with their Polish collaborator, Denis Kolokol, to San Diego and engaged in collaborations with students there to generate new work for a show in the Qualcomm Institute’s advanced digital visualization facilities. Access to the facilities at the Qualcomm Institute was through our collaboration with Michael Trigilio’s Socially Engaged Speculative Media Initiative . 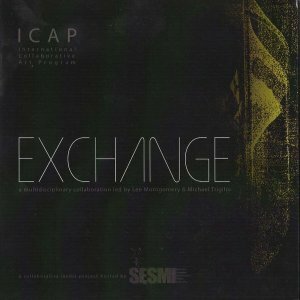 The results of this program were compiled in a jointly published catalog titled Exchange. This publication was funded by the College of Fine Arts at the University of New Mexico and UC San Diego. 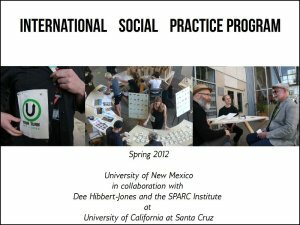 Before settling on the name International Collaborative Art Program the class i taught for the Arts Learning Laboratory was known as the International Social Practice Program. 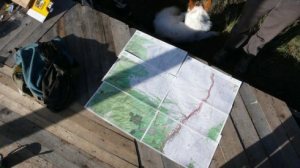 The class traveled with Latvian artist Kristaps Gulbis to The University of California at Santa Cruz, to develop work with Professor Dee Hibbert-Jones and her students. In Santa Cruz we presented our collaborative work as a day long event at The Museum of Art and History with the title, Your Turn. Students presented various projects designed to engage the lunchtime public in thoughtful conversation or deliberative exchanges. 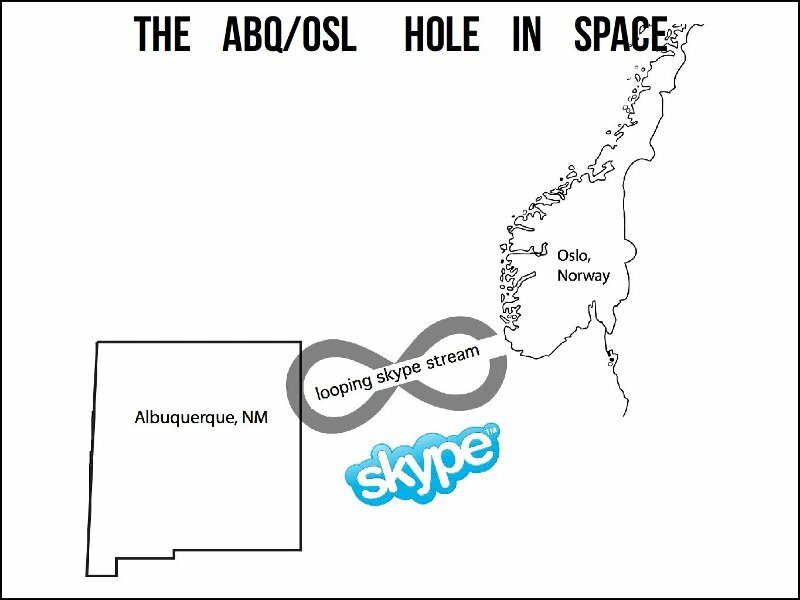 Riffing off of the aesthetics of Nam Jun Paik’s Global Groove, and the updated technology underlying Kit Galloway and Sherry Rabinowitz’s 1980 A Hole in Space,students developed a collaborative video exchange using Skype as a transnational live transmission venue. 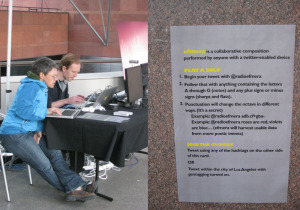 As part of the Neighborhood Public Radio event In the Air at MOCA in Los Angeles, students in my UNM Transmission Arts class developed a sound piece that translated geo-located twitter messages based in Los Angeles into ambient sounds that could be listened to by passersby on an advertised FM frequency. 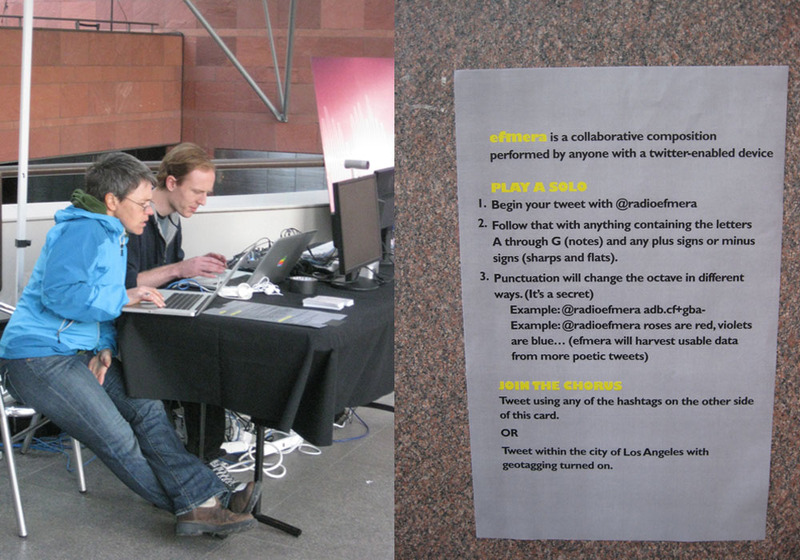 A collaborative project with Kristin Lucas for the 2010 Conflux festival. Festival goers could use qr code reading phones to access youTube clips of images taken at their location being turned into sounds. Topographia formed with colleagues from UNM when we decided to apply to be among the inaugural residents to spend time at PLAND near Taos, NM.